Great 3 bedroom/3 bath, spacious ranch-style home with walk-out basement on large, corner lot with beautiful landscaped yard. 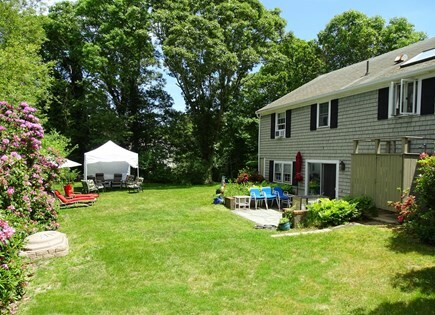 You'll love having a great Cape vacation at this spacious East Dennis property. This lovely home features a fully-equipped kitchen, formal dining room, bright living room with large flat panel TV and full sofa-sleeper, and a glassed/screened sun room with full sleep sofa with large HDTV, this room leading to a patio with furniture. 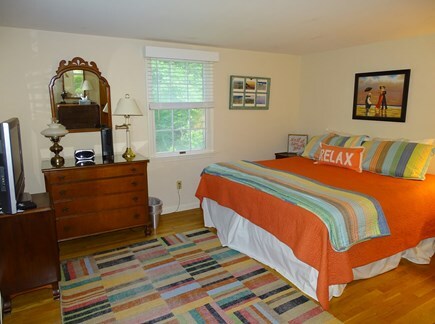 The master bedroom has a king bed, flat panel TV and en suite bath. 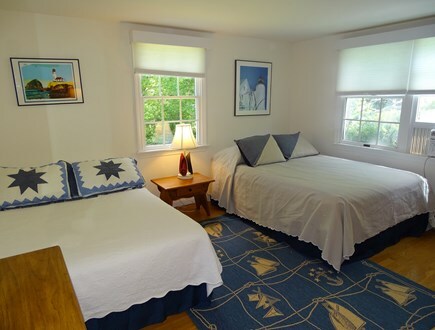 The other two bedrooms each feature the following: a queen bed and a full bed and a queen bed with a twin bed. 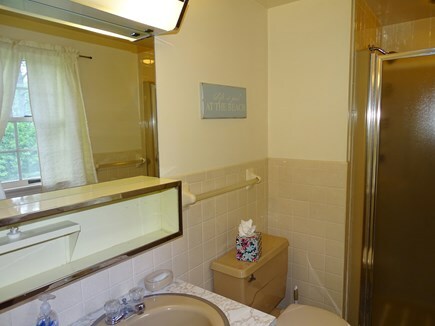 A full bathroom with tub/shower is located in the hallway between the two. 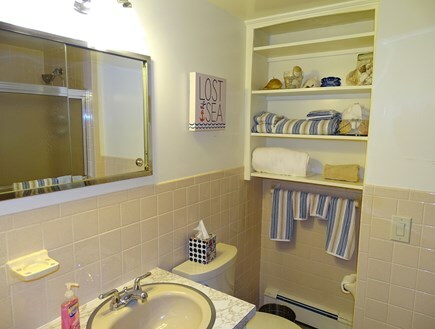 The lower level features another full bathroom with tub/ shower. This level features a room full of beach accessories (chairs, towels, umbrellas, coolers, beach toys, etc.) The slider off of this room leads to the convenient outdoor shower and another patio with furniture where you can use another barbecue. 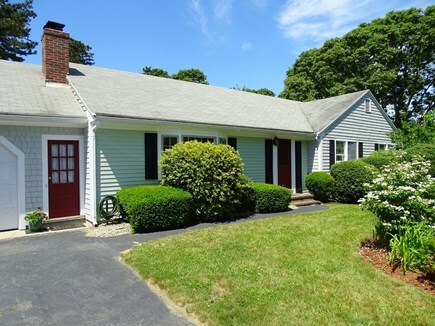 This home is in the wonderful quiet neighborhood setting of Forest Hills Estates, off Route 134 and near historic Route 6A. 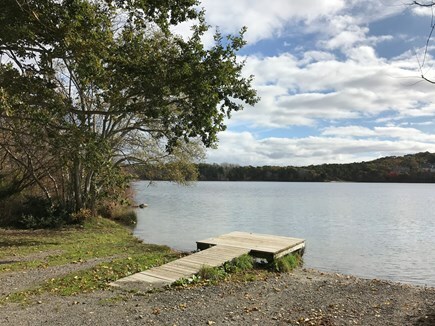 It is located off the beaten track but conveniently very near stores, movies, banks, fine restaurants as well as the Cape Playhouse, Corporation/Cold Storage/Sesuit Beaches and harbor, Scargo Lake/Tower/Pottery, Dennis Pines and Dennis Highland golf courses. 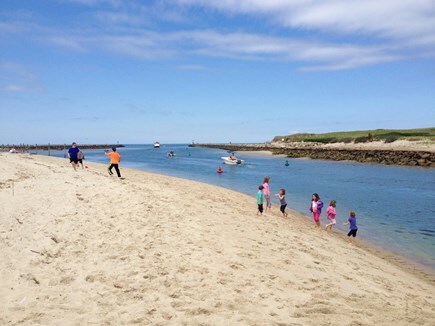 Dennis has beaches on both the Bay and Nantucket Sound. 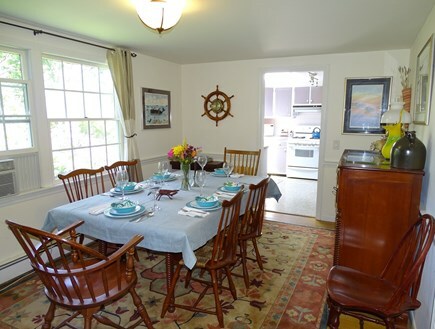 If you'd like more information about this property or would like to book, please contact Lynda, Kinlin Grover Vacation Rentals, at 508-896-7004. Additional pricing info: $125 booking fee for realtor processing,, State and local taxes of 12.45% will apply. Just returned from our 2 week stay at this property and can't wait to go back again! 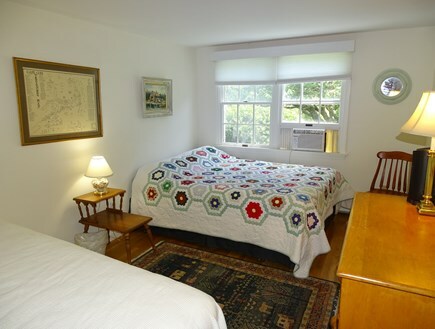 The house is fully equipped with sheets, towels, paper goods, kitchen supplies, etc...Wonderful location, only minutes to the best beaches in the country! We have just returned from a fabulous week at the Cape. The house was equipped with everything you could possibly need! We only had to bring our clothes and make one trip to the grocery store to be set for the week. 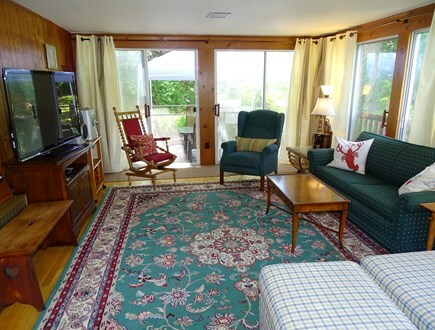 The sunroom was especially nice in the morning and at the end of a long beach day! This place had all the comforts of home. A perfect house for a family to rent anytime! It was so nice not to have to pack sheets, towels (for bath and beach), blankets, pillows, etc. We would not hesitate to rent this home again in the future! 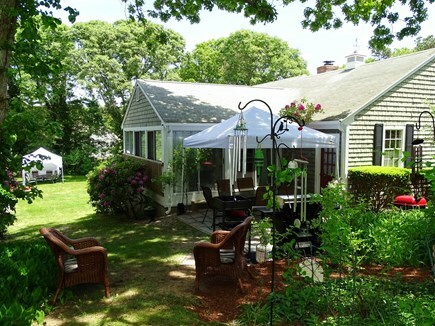 We just returned from a wonderful week at this lovely Cape Cod home. 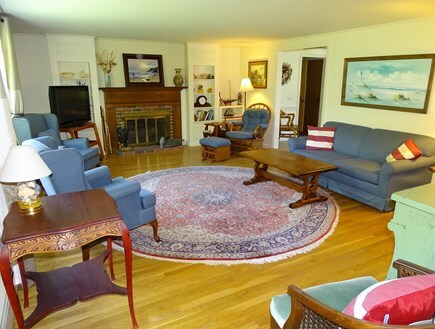 The house was just beautiful; the nicest we have rented on the Cape. In addition, I have never rented a better equipped home. We didn't have to bring a thing besides our clothes. We liked it so much we have already inquired about a long weekend rental in the Fall. We really enjoyed the week we spent in July at this house. 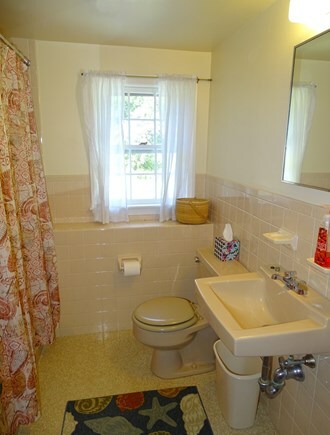 The location is convenient to everything but the neighborhood is very quiet. Four of us had plenty of room. 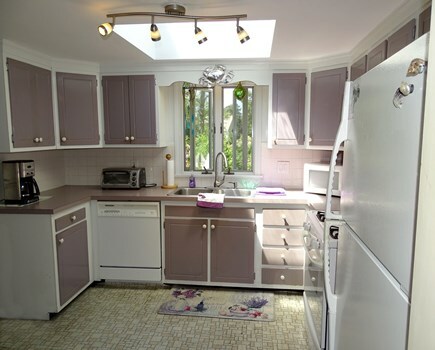 This is a very well maintained home. The glass/screen room is a great place to hang out in at night, a great breeze. 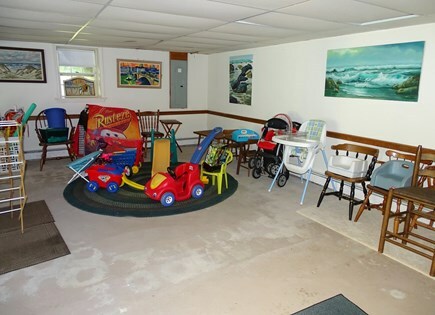 There are plenty of linens, beach chairs, etc. unlike many homes you rent. We would definitely stay here again!